Two questions for the mailbag this week. As always, use the widget on the right to send us questions for the mailbag. 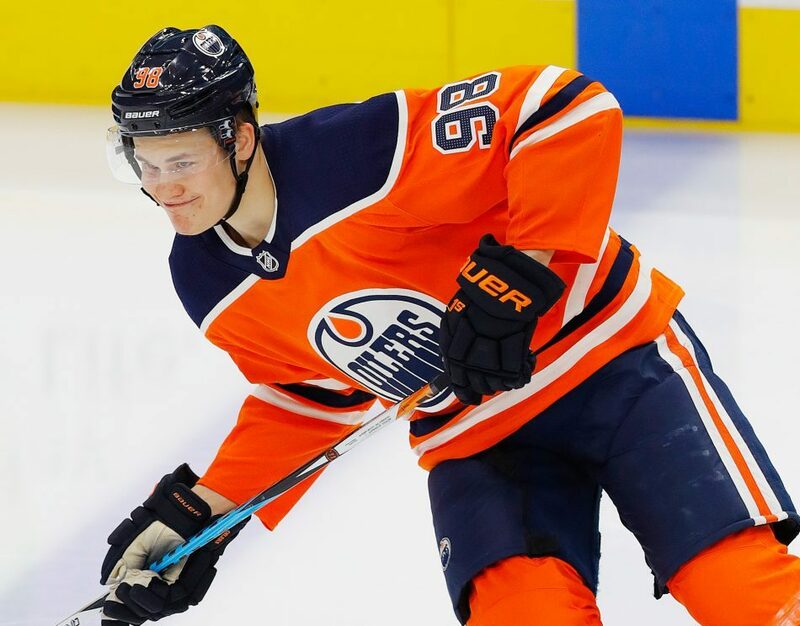 Rangers West asks: What would it take to get Darnell Nurse and Jesse Puljujarvi from Edmonton? Would some combination of Pionk, DeAngelo, Vesey, Namestnikov, and Shattenkirk get it done? Before unpacking what would land them, let’s look at the players. Puljujarvi is Edmonton’s 4th overall pick in 2016. His availability at #4 overall –the Blue Jackets went off the board at #3– is why the Rangers didn’t make that Ryan McDonagh/#4 overall swap at that draft (for Clayton Keller). In 42 games this year, Puljujarvi has a line of 4-5-9. Last year he put up 12-8-20 in 65 games. Not exactly enticing numbers, but Edmonton is so poorly constructed it’s tough to use those numbers. It’s worth noting that Puljujarvi has struggled, and his rel xGF% of -5.72 is 2nd worst among forwards on Edmonton. He gets bottom-six minutes, so his teammates are pretty terrible. I mean, have you seen that roster? Puljujarvi is just 20 years old, and he’s a right handed winger, a rare commodity. He has a ton of trade value still, but this might be a good buy-low scenario, especially with Edmonton’s management in flux. As for Nurse, the 24 year old defenseman has been a rock for Edmonton. He’s their top pairing defenseman who forms a solid pairing with Oscar Klefbom. Considering how much Edmonton wants defensemen, I doubt he’s available. This is a very long winded answer for saying I don’t think the Rangers and Oilers match up for Nurse. However Puljujarvi is a different story. It’s tough to read the Oilers, since they generally have no idea what they are doing. I’d assume they can grab him for something like Pionk and Vesey, because both have much higher perceived value than actual value. The Oilers have some cap woes, so maybe taking a non-Lucic contract back would help as well? Moose Klein asks (writes): The Rangers of the current era are physically overmatched and have few honest hits in the course of the game. The defense lacks physical play. This email came exactly two hours after the Cody McLeod trade. I figured I’d get one of these, so let’s address this. Physicality, in terms of 80’s style fighters and big bodies to finish checks, is an antiquated term in today’s game. We’ve seen time and time again where someone finishing their check leaves the ice open for the opposition to spring for a rush. Adam McQuaid is certainly guilty of this regularly. That said, there is a need for physical play, just not at the expense of skill. Let’s look at Chris Kreider and Tony DeAngelo as examples here. You can even use Mats Zuccarello, who is a feisty pest, as an example. I’ll take strength and skill over one-dimensional physicality like McLeod 100 times out of 100. Also as a side note, and it’s something we’ve mentioned for quite some time now, the defense lacks a lot of things. Physical play is on the list, just not very high. "Mailbag: Jesse Puljujarvi/Darnell Nurse, Soft Defense", 3 out of 5 based on 9 ratings. If you do the Oiler deal that is in the article. The Oilers May only do it if you take Lucic on a money dump. Edmonton does not make the best deals, but I cannot see them including Nurse in any deal. If Vesey and Namesnikov get you Pulji and a 2nd round pick, I may make that deal. Trade Fast and Namesnikov for a 5th and 6th round pick. With how the Oilers are constructed, they’d be crazy to ask for anything but defense in return. talent like Pulijarvi is exactly / the only / type prospect NY should be looking at acquiring. Anything less would be 2-3 perhaps even 4-5 years away from being NHL ready. We don’t need more “maybes” from the 2019 draft. We need a streaming heap of young talented wingers NHL ready. Otherwise get next years (2020) draft picks. Like the McQuaid trade. When do you think Pollie was told he could have had Mcquaid for a box of broken skate blades and a shoe horn. a 7th rounder is robbery. Crazier things have happened, but I also doubt that Nurse is being offered to anyone. The Oilers need him on defense. Puljujarvi on the other hand would make a nice pickup for not too much cost. They should consider him. The Oilers have more holes than a slice of swiss cheese, trading Nurse would just create another huge hole. Doesn’t make sense. Dmitri Samorukov – Kirill Maximov – Aapeli Räsänen – Jesse Puljujärvi – the only player assets Edmonton has of value that I think they would be open to discuss and NY should be interested in. Without Pulijarvi there is no deal to discuss. Shattenkirk at 50% salary and Vesey should be enough to get you Pulijarvi / Samorukov and some picks. I’m not adding Kailer Yamamoto because he’s too small. Not every midget will be Zucc or St Lou – no thank you please! It mind-boggling that many posters here believe that cap strapped Edmonton will sacrifice a young cost controlled winger that hasn’t peaked yet for bottom 6 wingers and bottom pairing defensemen. The ONLY way to possibly do it is take on a contract that Edmonton has to shed to make ends meet on paper. The only issue I will take with your statement is the fact that the Oilers suffer from a terrible lack of depth. Giving them a couple of 3rd liners that could actually produce every now and then like Vesey and Namestnikov plus a depth d’man won’t solve all their issues, but might be enticing enough to move 1 forward like Puljujarvi and a draft pick (say their 2nd or 3rd) — as long as we take some salary back in the deal. In fact one might argue that Namestnikov playing with a guy like McDavid or Draisatl might make him a cheap Top 6 option, he’s done pretty well in the past with exceptional players like Stamkos, etc. Nurse is out of the question though. This was a really bad take Dave. Amateur hour: Nurse is BFF with their franchise player. I been wanting to see a trade for him since the beginning of 2017-18. Pulijarvi is a broken prospect, NYR fan base and club does not have time to fix him. Imo he needs a good portion of playing time in the AHL but he is one of those player’s that is not having it. I rather see a big trade like for Yamamoto or else nothing to do with Edmonton. JG should be reaching to desperate team’s that either have more flexible cap space or assets to offer. Anaheim Ducks- Josh Manson and Nick Ritchie would be my targets if this is a rebuild on the fly. The other team that I would check up on is ST Louis for Tarasenko. If there was ever a player to flip with Kreider for than there you go. Manson and Ritchie are competitors. I like those names, they play with fire in their bellies. The Rangers still have too much of the old turn thou cheek attitude left over from the AV era. They need some players who bring skill and nastiness on their roster. I don’t see them moving Nurse, but I think they would move Puljajarvi and I also think they would move their first this year. Which could still be top 15 since there is no certainty that they will make the play offs. They are in cap hell. We would have to take something back. And NO to Lucic. So who would make sense? Ryan Spooner? Not really, but they could ask/beg. They could ask us to take back Talbot and give them Georgiev back in a deal. They would probably want us to take but Kris Russell. He’s the most logical choice. I would not be too jazzed about that. We could also ask for Nugent Hopkins, but I don’t think new management moves him at this point. I think it would require a bigger trade in order to get the dollars to work. Something like Zucc, McQuaid, Georgiev and Vesey for Pulajarvi, Talbot, Russell and Rieder and their first this year and their second in 2020. Zucc $4.5 MQ $2.75 Geor $.792 Vesey $2.275= $10.317 cap hit Edmonton-Puj $.925 Tal $4.167 Russ $4 Ried $2 = 11.091 Cap hit. To make the cap work without retention.They get players their coach will like. We get Pulajarvi a first and a second. We’re stuck with Kris Russell for 2 more seasons, but he can be moved. Nurse is the type of player that the Rangers need big time…but so do the Oilers. I doubt they would move him. Pulajarvi could be available but since Edmontons playoff hopes are diminishing they are not likely looking for rentals. Thus I don’t see them as a good trade partner for the Rangers. Almost every commenter spelled Puljujarvi’s name wrong, even in nickname form. Even though it’s spelled correctly throughout Dave’s article, and even though it’s RIGHT THERE IN THE HEADLINE. In the autocorrect/spell check age that’s damn hard to do—I salute everyone who managed that trick.